as a bi-product of the international sea shell industry. 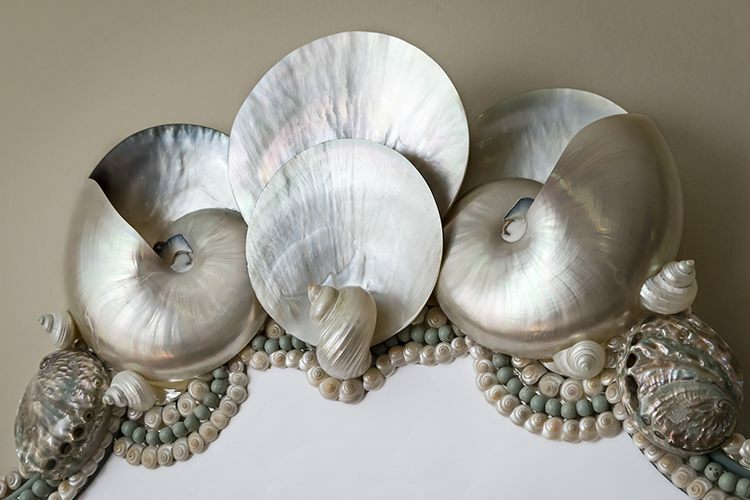 Top element made of natural, split pearlized nautilus and black round cut, oyster shells with pearl turbos. Pearlized umboniums trace the outer and inner edge with grey-green crescent shaped “sea tusks”. Sea green pearlized abalone shells placed at edge of frame with blue-green limpets for added color. 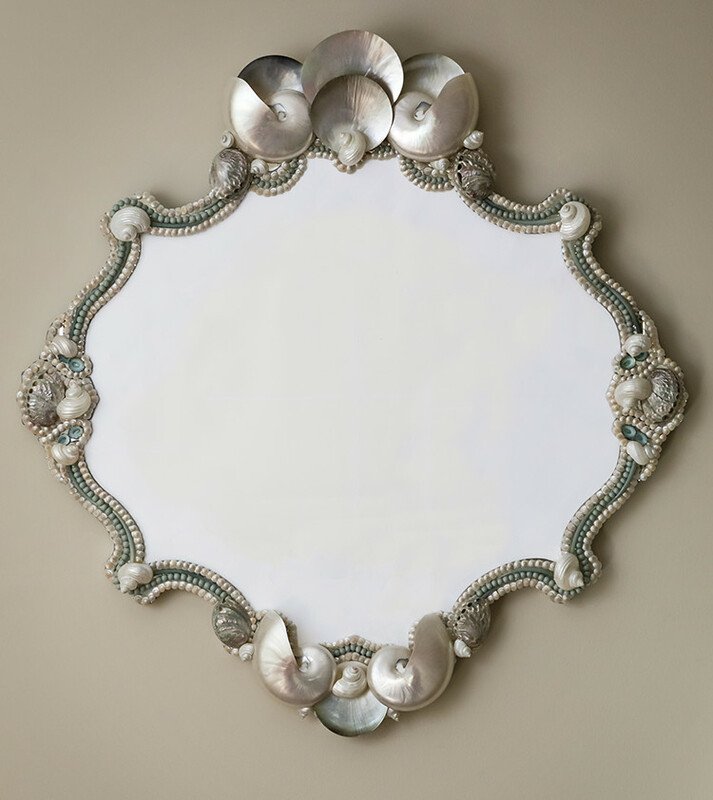 Handmade, one of a kind seashell mirror.